Is your face so perfect that you never experience blemishes? Then move along, you magical unicorn. This post isn’t for you. However, for the rest of us, perfectly imperfect humans, skincare is important, especially facial skincare. Due to my curious nature, I like trying new beauty products. 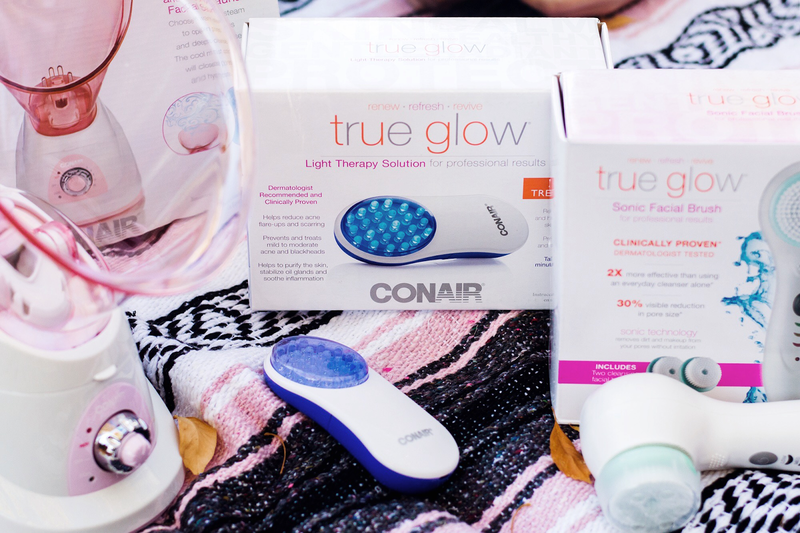 I am thrilled to be teaming up with Conair’s skincare line True Glow to test some of their newest items and share my experience with you! 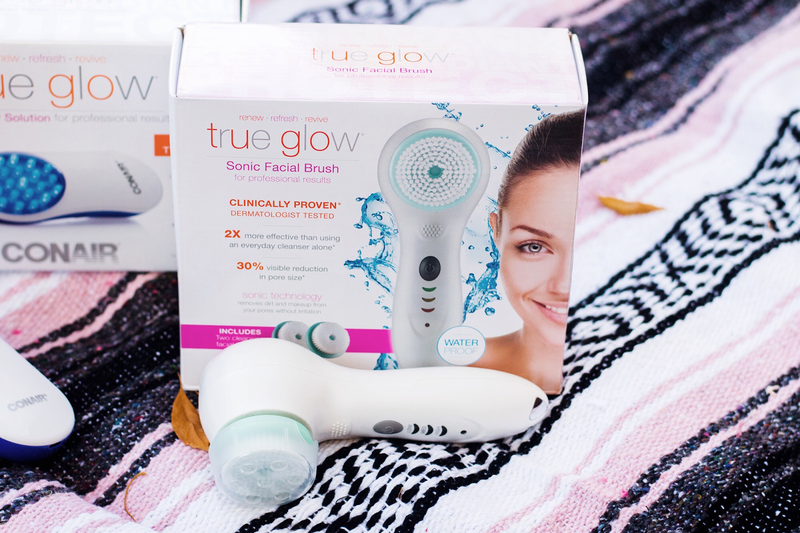 True Glow believes everyone should embrace their true glow and feel empowered through beauty and skincare. Their mission is to make top of the line beauty and skincare technology affordable, so everyone can have quality products. It’s a move toward skincare equality. I will be trying their new items all through the month of November and keep you updated on my skincare journey on my Instagram, so make sure you’re following along (@shellystuckman.) At the end of the month, I will be sharing my final review of True Glow here, on Arizona Girl. 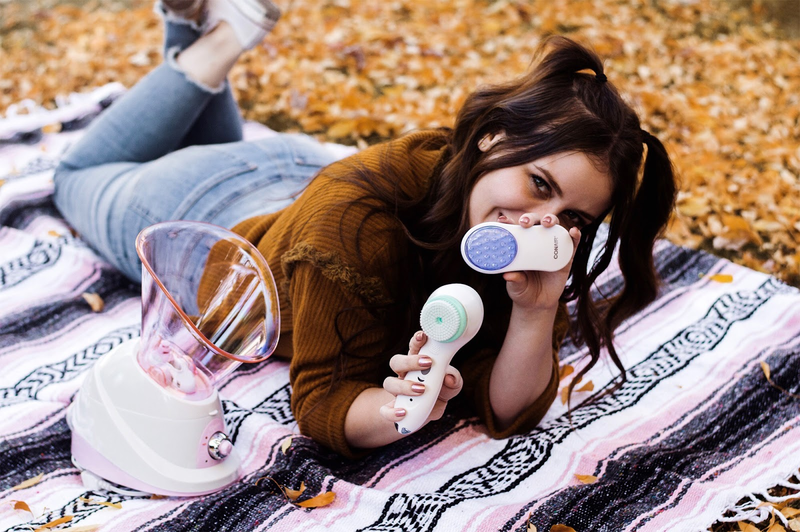 The products I will be testing are the Sonic Facial Brush, Acne Treatment Light Therapy, and Warm Steam and Cool Mist Facial System. I’m excited to try them all, but I am most looking forward to the Sonic Facial Brush. 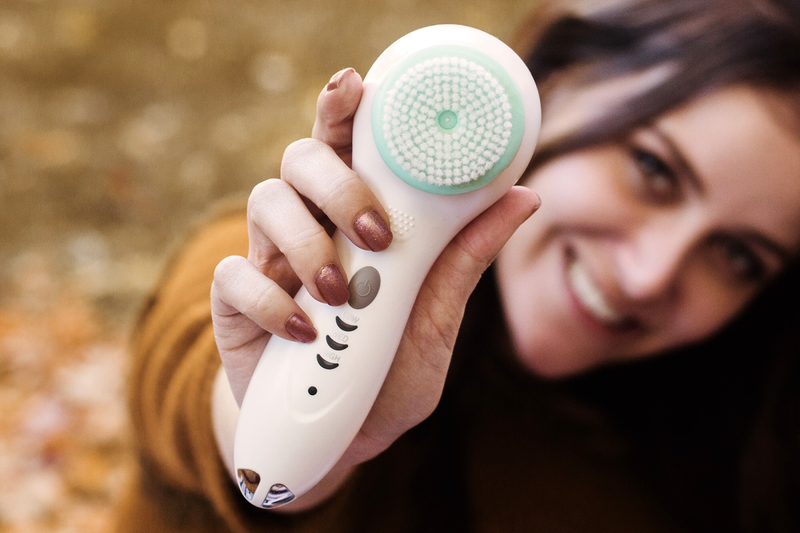 The Sonic Facial Brush has numerous amazing features that makes it stand out. It osculates not spins like many other brushes on the market which can be harsh on your skin and cause irritation. I know I’ve tried a spinning brush before and it has aggravated my skin, and I can only use it once or twice a week if that. 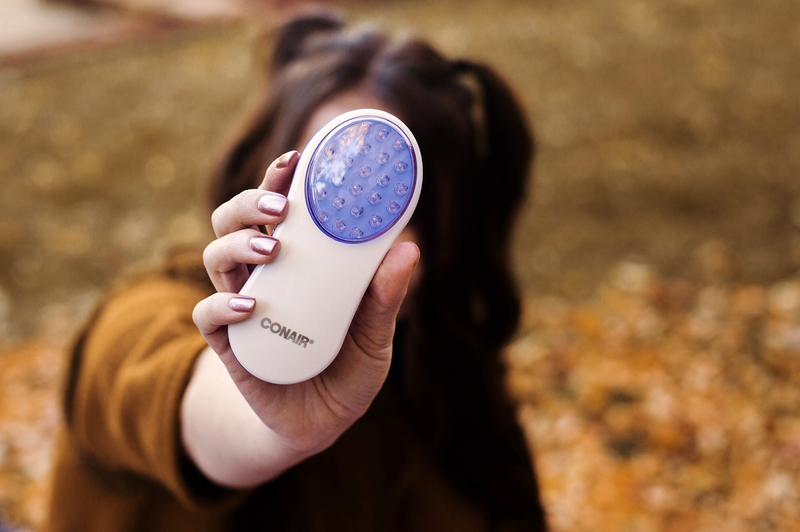 The Sonic Facial Brush is gentle enough to use everyday. It’s fully rechargeable with a battery that can last for days. It comes with a charging stand and doesn’t require any additional batteries to operate. It’s waterproof and safe to use in the shower which is so nice and convenient. It has three different speeds: low, medium, and high. Other facial brushes that I have tried only have an on/off button and one speed. 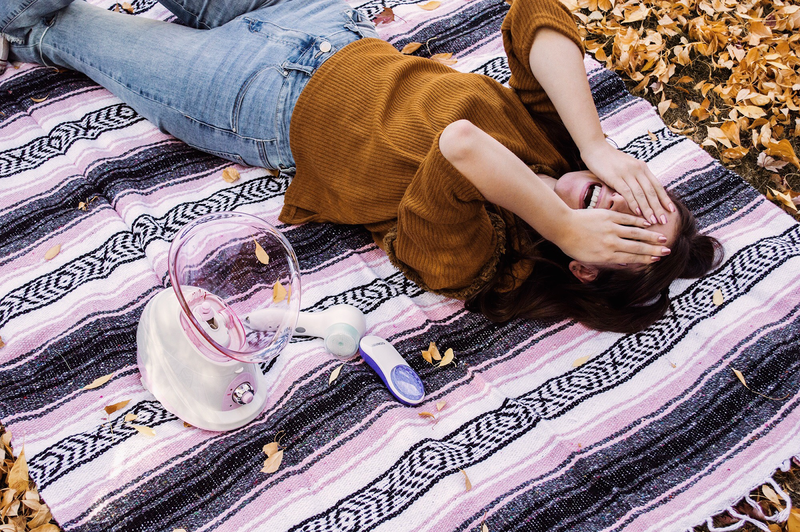 Use promo code 20CONAIRSFB3 to save 20% off of the Sonic Facial Brush from Amazon. 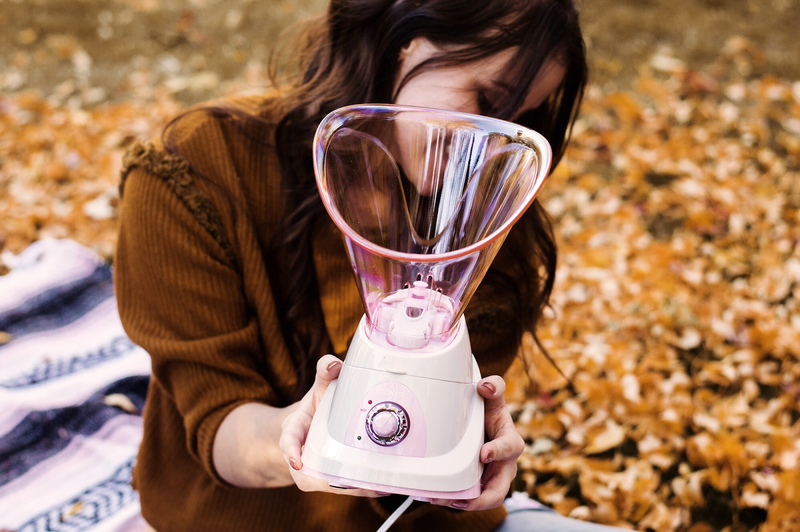 I have never tried light therapy or a facial steamer before, so it will be neat to try both. The Acne Treatment Light Therapy kills bacteria in the skin, preventing acne in a safe and gentle manner. It also is said to reduce redness, minimize acne scarring, and soothe inflammation. Sounds good to me! 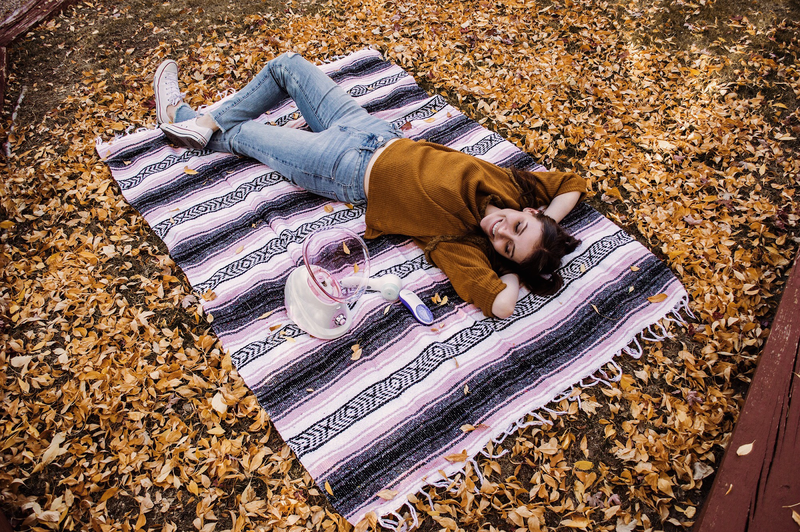 The Warm Steam and Cool Mist Facial System, when set on heat, opens up your pores for a deep cleansing and, when set on cold, closes your pores, preparing your skin for moisturizing. It has four timer settings: 6, 9, 12, and 15 minutes. 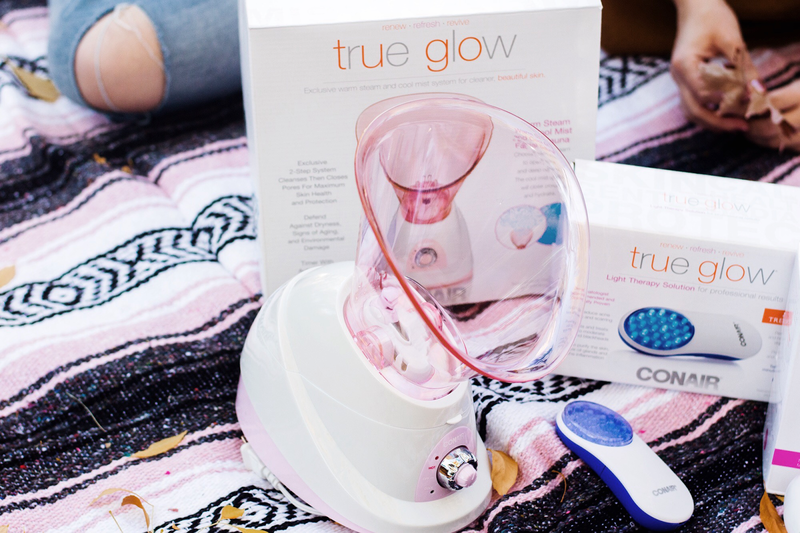 All Conair True Glow products come with a one-year warranty which is amazing in case something goes wrong or happens to your product. 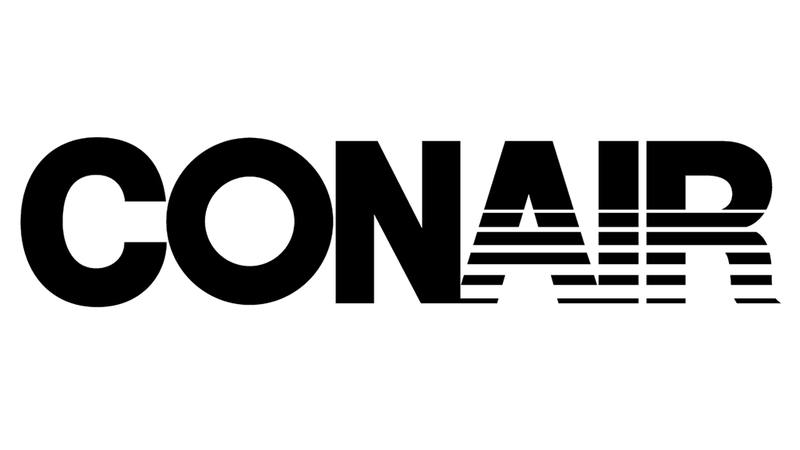 very good works guys I've incorporated you guys to blogroll.